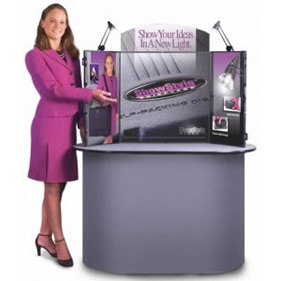 Briefcase displays & the briefcase table top display are new show items. 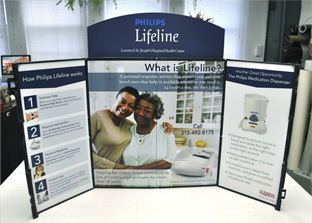 Gamma’s road tested briefcase tabletop displays effortlessly transforms into a mobile sales presentation unit. 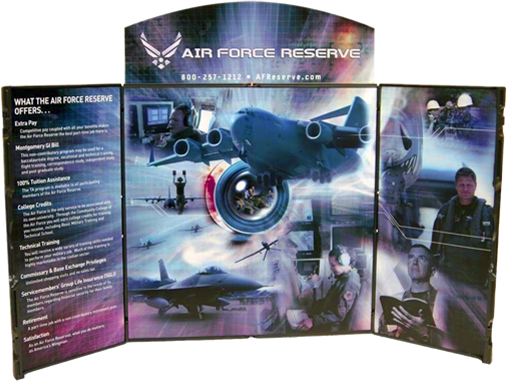 Featuring a rigid, thermoformed ABS exterior and a black Velcro compatible interior, our briefcase tabletop displays weigh between 5 and 10 pounds and come with a lifetime warranty. Internal graphics can remain on the briefcase display during transport. 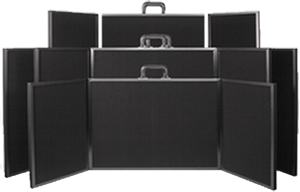 Each Briefcase Display consists of three fabric lined panels that fold up for transport. Handle is hidden when in use. Photos, graphs and other visual aids attach with Velcro. Easily change out graphics can be stored in the briefcase display case.